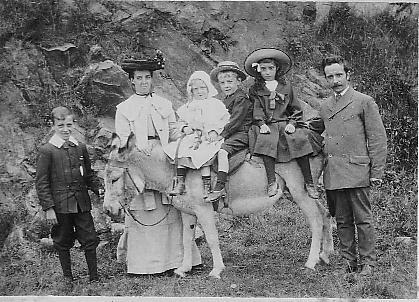 The Doxey family on holiday in the Isle of Man, a very popular destination. The Family were living in Matlock. Alfred was the author's grandfather.